Ruby is a 3-week-old little red flying fox who was rescued from the side of the road after her mother was hit by a car. A sad beginning but her ability to adapt has been incredibly touching. Flying foxes are a keystone species in Australia, responsible for the pollination of native forests, and the propagation of new plant growth via seed dispersal. Despite their ecological importance they are currently under threat in Australia due to loss of habitat, urbanization and a negative image in the media. 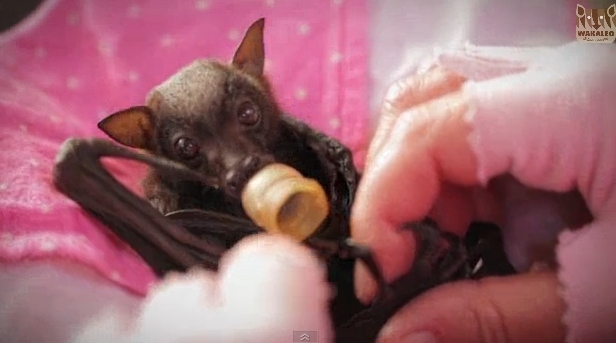 Never touch or approach bats unless you are a vaccinated carer/rescuer. 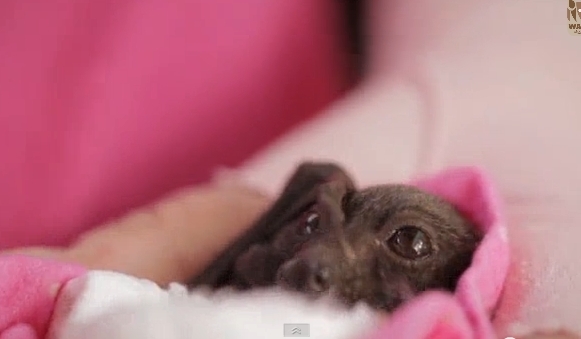 Responses to "Ruby, Orphaned Flying Fox Baby May Be the Cutest Thing You See Today (VIDEO)"
Stunning little creature. They provide such an important service to the ecosystem as well.